It is common knowledge that giving in to the charms of sirens usually translates into an untimely death, but players have nothing to worry about the Sirens slot game. Cryptologic is at the forefront of developing casino games and this title combines some of the most popular elements that are traditionally associated with the underwater environment. There are solid links with mythology, and it comes as no surprise that the leading character is Ulysses who successfully resists the Sirens charm while returning home from his extraordinary voyage. Furthermore, Ulysses is also the wild symbol while his ship stands for the scatter symbol, which is responsible for triggering free spins. 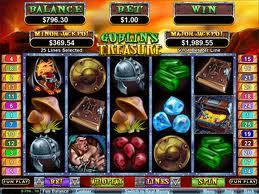 Like in most slot games developed by Cryptologic the minimum number of scatter symbols is three, but the more the player discovers, the more numerous the free spins are. The other symbols are also in the same register and players will be charmed by the attention paid to details when crafting the mythical creatures. Another title created by Realtime Gaming goes by the name of Goblin’s Treasure and presents a different side of the mythological world. Once again the emphasis is placed on the sound and visual effects, with trolls, dragons ogres and goblins appearing all over the reels. It was only natural for the goblins to represent the wild symbols, but the treasure chest plays an equally important role. The difference between these two wild symbols is that the goblins pop up only on the first reel, while the treasure chest appears on the fifth. Prizes are increased when more of them appear on the reels and the highest payouts are released when both of them pop-up at the same time as an additional 15 free spins are released. Playtech did a fine job in capturing the very essence of the grim character that the Ghost Rider is, in a slot game that was developed in partnership with Marvel Movies. The end result is a title that runs on a flawless software and draws a lot of inspiration from a rich lore, basically the recipe for success. Since the age limit of 18 years is already in place for gambling purposes, there is no reason to worry about how frightened players might be. The legend of the Ghost Rider is one that many movie aficionados are familiar with, but those who play this slot game for the first time are worth remembering it. Johnny Blaze was supposed to be a stunt motorcyclist that was caught between a rock and a hard place and forced by circumstances to cut a deal with the devil. In order to save his mentor, he sold his soul and so the Ghost Rider was born, doomed to forever wander the world on his motorcycle. Some might find the story inspiring others would deem it as a bit cheesy, but everyone who plays Playtech’s latest installment will agree that the slot game is remarkable. Since the software developer was provided with such a popular theme, it would’ve been quite a shame to neglect the story behind it. Fortunately it paid attention to details and a simple glance at the symbols populating the reels will confirm their commitment. Besides the Bible, the contract and the demon Mephisto, the flaming skull stands out from the crowd as the wild symbol which appears on the 2nd, 3rd and 4th reels. 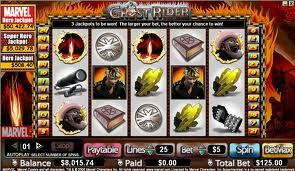 Just like in every other Playtech slot games, the payouts are multiplied during free spins, which are awarded by the Ghost Rider logo which represents the scatter symbol. It is time to turn the heat on a notch by enjoying some of the finest game slots featuring super women and Cryptologic’s take should appeal to a broad audience. There are two titles that the software developer has recently introduced and they go by the game of Elektra and Wonder Woman. The first character was created by Marvel Comics while the latter invented by DC Comics and both of them enjoy a huge popularity among those who love comics. Each slot game is consistent with your original theme and all the symbols evoke the characters that millions are familiar with. Elektra represents the wild symbol in the game bearing the same name and when it appears on any wheels, it can trigger the fixed jackpot of 5000 coins. The visuals have also been greatly improved and the transition from the static comics to dynamic animations couldn’t be better. Another high-paying symbol is the Elektra and Daredevil while the scatter symbol is the Elektra logo. This is the one that marks the beginning of the Shoot the Ninjas feature, which enables players to win 250 times more than the amounts they wager. The purpose of the minigame is to shift as many ninjas as possible without missing. Those who appreciate grandiose introductions, will surely be impressed by the manner in which Wonder Woman kicks off and the best thing is that everything gets better. Our heroine uses a vast array of weapons and abilities to defeat our opponents and the animations can sometimes distract players from the sheer prizes. 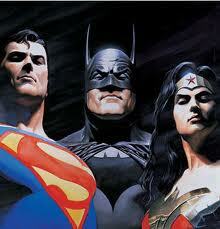 Some of the most popular symbols are the tiara, the lasso of truth but also Artemis and Ares. This is truly the season to be jolly, especially if you are a fan of slot games because Microgaming is on a releasing spree. 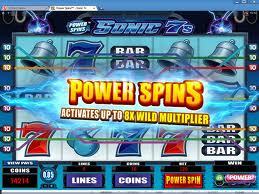 The latest title to hit online casinos powered by its software is Sonic 7s which incorporates some of the most popular features found in Microgaming and introduces a brand-new one. Players will be thrilled discover the way the Power Spins work and will be even happier to hear that this feature is responsible for significant payouts. Newcomers are invited to take a leap of faith and step into the future, as futuristic symbols populate Sonic 7s. As you might suspect given the name of this slot game, sevens play a central role in Sonic 7s and the largest payouts are awarded when this digit is present in various combinations. There are three different types of 7s and it is color that differentiates them, with the red, gray and blue sevens being scattered all over the reels. Cherries, single and triple bars as well as bells are the other signs and when sevens and bars are combined in a certain pattern, payouts are awarded. The largest prizes are collected by those who line up identical signs, especially sevens. Microgaming proved to be far less imaginative when it came to assigning a symbol as the scatter, with this sign being the Scatter logo. Regular symbols don’t have any animation, but the scatter and wild ones compensate by charming players with beautiful visuals, in addition to significant prizes. It is entirely up to the player to activate the Power Spins feature or not, because what it does is to enable players to increase the wagers. Those who don’t mind taking chances will discover that when all nine paylines are active the profits can increase as much as eight times, which justifies the risks taken.